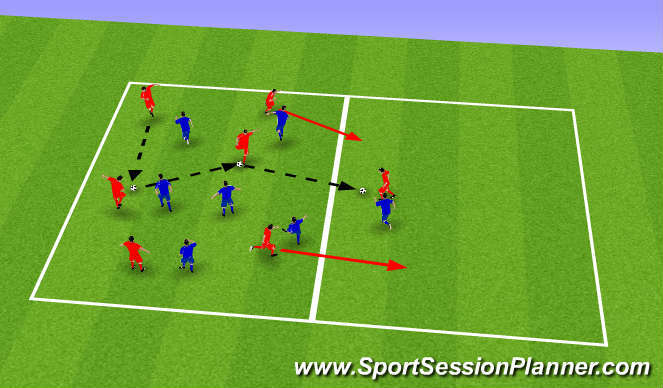 Looking at ways in which we can maintain possession, by passing or protection the ball. Idea is for team in possession to move the ball quickly and accurately and when opportunity comes up to play in to player in other zone, when this happens we are looking to support quickly and keep the ball in the new zone. 1 player from each team needs to stay in original zone so there is an outlet when possession re enters that zone again.